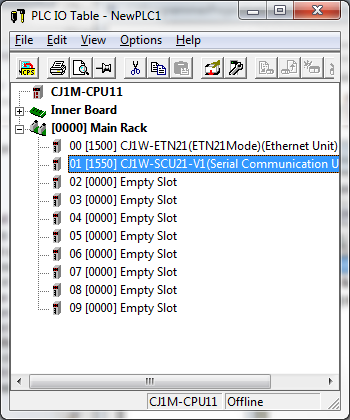 The rest of this article uses the name CS/CJ Serial Port to refer to any of the above serial port interface. For information about connecting a PLC Device to a computer using an RS-422 link, see RS-422 Communication with PLC Devices. For information about connecting a PLC Device to a computer using an RS-485 link, see RS-485 Communication with PLC Devices. The easiest way is to use the Omron Serial Autodetect Wizard. Using the options you select, the wizard will try different settings to work out the correct Fernhill SCADA configuration. Manually configure Fernhill SCADA and the CS/CJ Serial Port to use the same communication options. 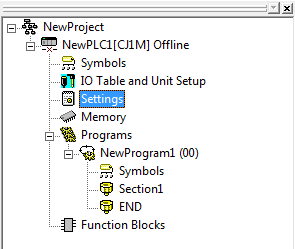 The CS/CJ Serial Port can be configured using CX-Programmer. Omron Serial Port Mode Defines the baud rate and character frame format. Omron Host Link PLC Tag UnitNumber Defines the host link unit number. Omron FINS PLC Tag CModeUnit Defines the host link unit number. Omron FINS PLC Tag UnitNumber Defines the FINS unit number. 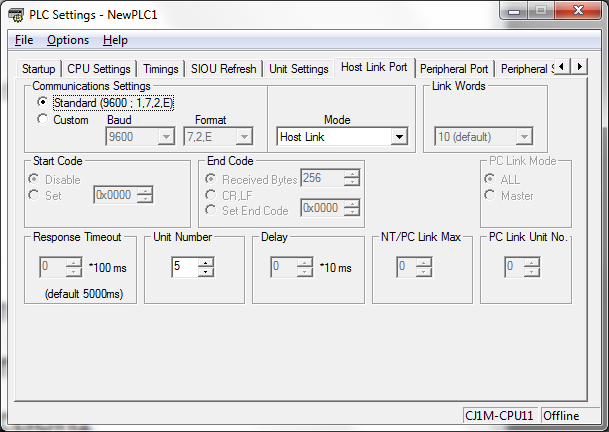 You can use CX-Programmer to configure a CS/CJ Serial Port. The exact method depends on whether the port is on the CPU unit, or on a plug in board or module. Note: The Mode parameter must be set to Host Link Configure the other settings as required. Note: This example shows a CJ1W-SCU21-V1 communication module selected. 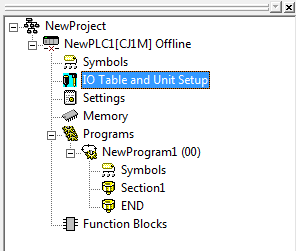 Note: Make appropriate changes and Click OK.
For information about Omron serial channel configuration. For information about Omron Host Link PLC Tag configuration. For information about the Omron Driver.